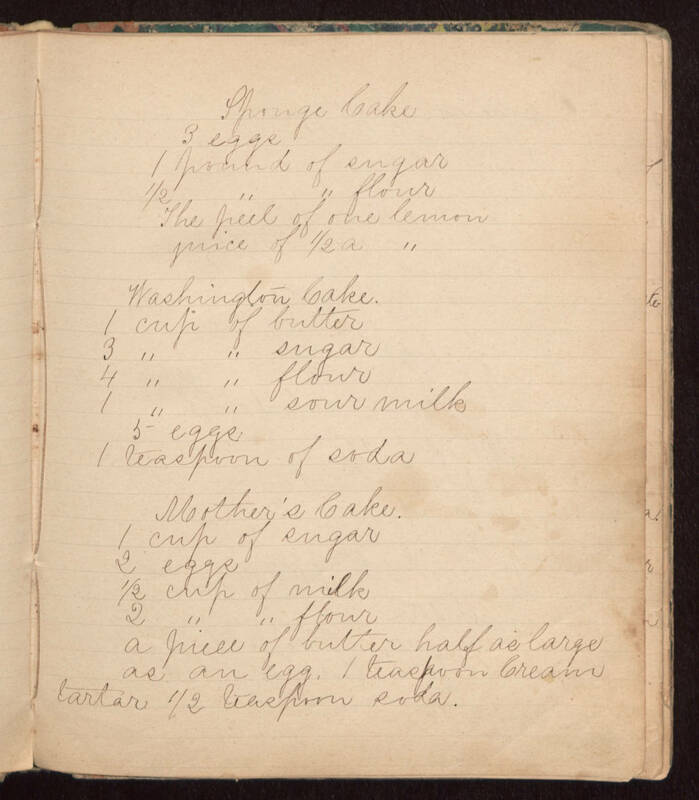 Sponge Cake 3 eggs 1 pound of sugar 1 " " flour The peel of one lemon juice of 1/2 a " Washington Cake. 1 cup of butter 3 " " sugar 4 " " flour 1 " " sour milk 5 eggs 1 teaspoon of soda Mother's Cake. 1 cup of sugar 2 eggs 1/2 cup of milk 2 " " flour a piece of butter half as large as an egg. 1 teaspoon cream tartar 1/2 teaspoon soda.